Effective means of communication forms a major part of the working of an organization to ensure a collaborative work environment. The need to better facilitate this collaboration amongst team members within an enterprise has given rise to corporate social intranet. Such an in-house platform is marked by a corporate social network in collaboration with third-party social media platforms. This enterprise social platform is thus an upgraded or extended version of a conventional intranet wherein the association with social media platforms enables the employees to better communicate and develop healthy working relationships with each other. Increased Self-expression- Through corporate social media, employees find it easier to participate in work discussions using tools such as comment, tag, links, and so on. 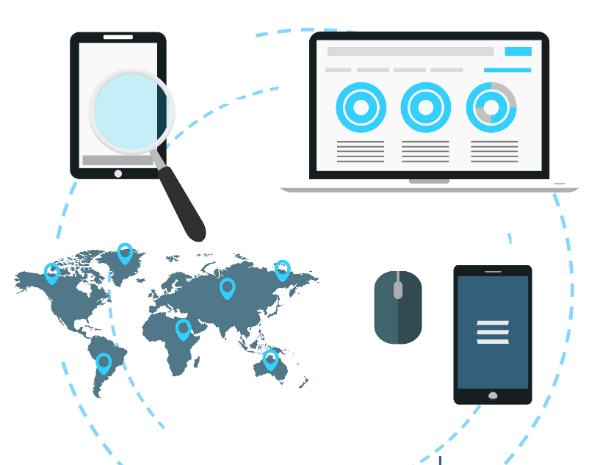 Ecosystem of Information- With access to enterprise search engines that makes use of an open area of enterprise data, employees benefit a great deal from the intranet search strategy when it comes to gathering information. The admin can further give access rights to multiple users or customize the information available to ensure security of using the platform. Executive Participation- While many employees do not get a chance to interact with the leadership of the company, enterprise social media enables them to bridge this gap and collaborate or engage with the management as well. Best enterprise social network comprises of numerous collaborative as well as easy to use tools and features. Creative Social Intranet offers such powerful intranet solutions that ensure faster on boarding and deeper engagement of employees. Their social intranet platforms are not only easy to use and web based but secured upon quality servers. Their customized intranet solutions are also responsive to mobile devices to provide convenience of usability. One can choose either local or cloud based server or get the best features of both through a hybrid solution. Great for private communication within an enterprise, Yammer social network can be assessed by a user’s internet domain which enhances the security of accessing the services of the intranet. This is popular option for private social network for businesses as it is a service (SaaS) intranet platform which is cloud-based. Noodle is another intranet platform equipped with a range of networking and collaborative tools and features. This is a collaborative platform offered by Facebook Inc that provides networking and social intranet features to the corporate sector. Microsoft offers this productivity software and related services to individuals and businesses alike. While individuals get access to Office applications on Windows, macOS, Android, iOS, and Windows 10 mobile. Why Choose Creative Social Intranet? While there are a range of intranet platforms available, the social intranet solution offered by Creative proves to be a notch higher in features than them. Their internal enterprise social network is developed in ASP.net Microsoft language and is easy to use and browse through owing to the fast and clear user interface. The other USP’s of Creative Social Intranet is that they offer customized solutions to organizations to ensure the intranet matches the exclusive goals and objectives of the company. They also ensure to make the interface responsive to mobile and desktop alike to enhance usability by employees. Although their intranet options are loaded with the latest features, it is still affordable and easy on the pocket as the team conveniently works around your budget restrictions and requirements. The personal support service of Creative further makes them a preferred service amongst reputed businesses and organizations. You may contact them for further assistance with your particular needs and their team of professionals would work to suggest and provide the best intranet solution for you.